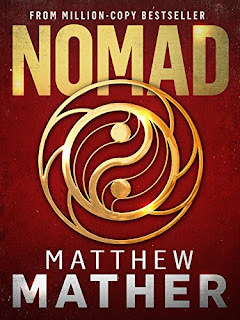 Nomad, from Matthew Mather, is a scientifically sound story based on what could possibly be a life-ending event coming from space. Or is it? In the story we learn that something has been discovered traveling through space and it is massive. Though scientists see it in present day it was apparently identified nearly 30 years ago but it was counted out as noise to be filtered from most space spectral equations. And rightfully so, considering how much of an effect it had on observations in its immediate region of space. But now that it is here, it IS HERE, as we follow along and try to discover just what this thing is that's threatening humanity. And all throughout this tale of global destruction, we follow a scientist and his family as they deal with the social ramifications that this event is bringing about. 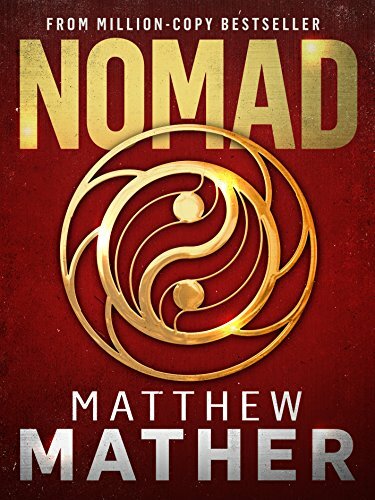 Nomad is the apocalyptic fiction tale that seems to have no good outcome, while people will be people when the end is nigh. As we read along, we learn about the science, true, hard science, behind what we're seeing, as Mather consulted some top scientific minds in the world of astrophysics to concoct the details of this story. It's a gripping read peppered with personal challenge as characters who should otherwise just sit down and wait for the end, stand up and fight for what's right instead. As you read along, it could be considered a fast-paced tale, peppered with twists and turns to keep you riveted and wondering. If you're not careful, you might read it all in one sitting... so choose wisely when you start reading. I'm sure you'll find a few things that were a bit over-the-top, but all in all, you can choose to focus on the one or two issues you encounter, or just plow onward and enjoy the read. Let's put it this way... on Amazon, after over 1,600 reviews, it has a 4.2/5 star rating, with over 50% of the voters giving it 5-star scores. I loved it and I'm sure, you will too. And the fact that readers get to pay an indie author's fee for such a great read is kind of scary good!